The Olympus CX21 microscope provides educational and medical environments with a unit that can out perform and out last many others. This model blends form and function into a usable piece of equipment, one that provides great images but is still comfortable for everyday use. Olympus CX microscopes were launched in 1997, and quickly became known as reliable models for educators and medical technicians. The defining feature of this series is Olympus' award winning UIS2 optical system, which allows for better contrast, higher resolution, and an expanded field of view. The CX21/CX21LED are the most affordable and well known of the Olympus CX microscopes. 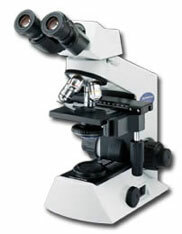 While relatively small for what it offers, the CX21 is a good deal for a solid and versatile educational microscope. The CX21 has been replaced by CX23. For this reason, new and used CX21 microcopes can be purchased on Ebay for a value price. The Olympus CX21 microscope offers two different models with two different lighting options. The CX21 LED uses an LED light to illuminate the specimens. An LED illuminator saves energy and can last for about ten years. The CX21 uses a 6V/20 W halogen bulb to light the field. Note that both models include a plano-concave mirror that helps with bright field observation. The Olympus CX21 comes with three objectives, all of which utilize the infinity-corrected Plan Achromat technology. This gives the images an outstanding flatness that is clear and crisp throughout the entire field of view. The CX21 is also ergonomically designed to be more comfortable to use. The coarse and fine focus knobs are placed low, making it easy to adjust the field with the hands still resting on the desk. The nosepiece can revolve into five separate positions as well. The Olympus CX21 microscope enjoys the same quality construction of other Olympus units, and we found it to be sturdy and durable. The eyepieces, objectives, and condenser are all attached in the factory in order to prevent dropping mishaps from happening. 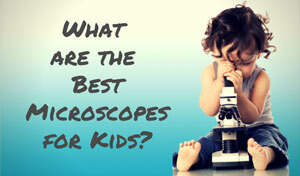 The microscope only measures 391mm, so it fits well into most classroom storage areas. It is light enough that it can be relocated without causing too much strain. The biggest complaint we found about this unit is its price. A microscope in this price range can be steep for the average user, but for upper level education a quality model starting at around $900 is a good deal. Some users complain the LED illumination is over-rated and wouldn't last ten years, although this is a little hard to prove without trying it for a decade! The Olympus CX21 microscope was made for the clinical and classroom environment, so both students and lab techs will appreciate the flat, sharp images. Instructors will especially like the size of this quality microscope, which is portable and compact while still delivering good power and function. Recommended for: Medical and educational arenas would get the most out of this unit, but it might overkill for most at home users. 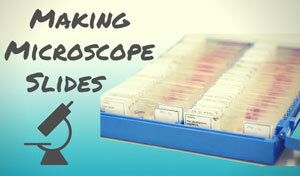 Recommended for lab techs, professors, or any student in the upper level biological sciences. 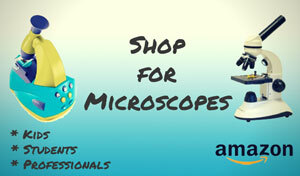 New and used Olympus CX-21 microscopes can be affordably purchased on Ebay.